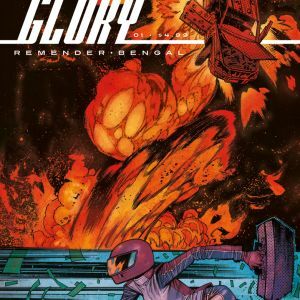 New York Times bestselling writer Rick Remender (DEADLY CLASS, SEVEN TO ETERNITY, LOW, BLACK SCIENCE, FEAR AGENT) and legendary superstar artist Bengal’s hotly anticipated Image Expo 2018 announcement—DEATH OR GLORY—will be flooring it into stores this May. 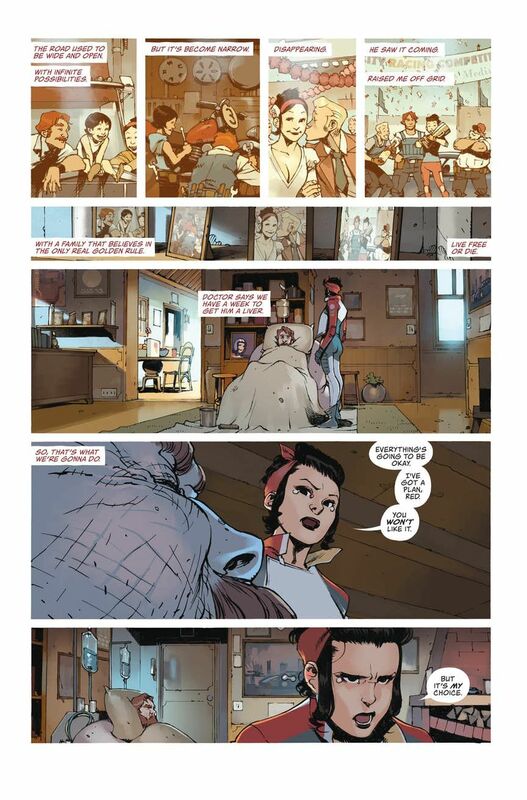 In an interview with Comic Book Resources about the new series Remender said: "It’s very grounded. 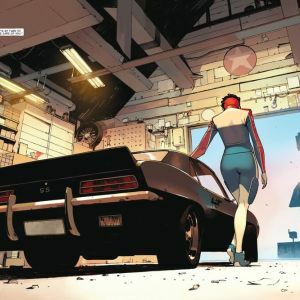 There’s a little bit of a heightened reality in that Glory is going to upset a number of different criminal organizations, and colorful shady figures end up in pursuit. We’re also looking at the effect the dying trucking industry, all the jobs self-driving cars will make redundant, it’s effect on her family and friends. 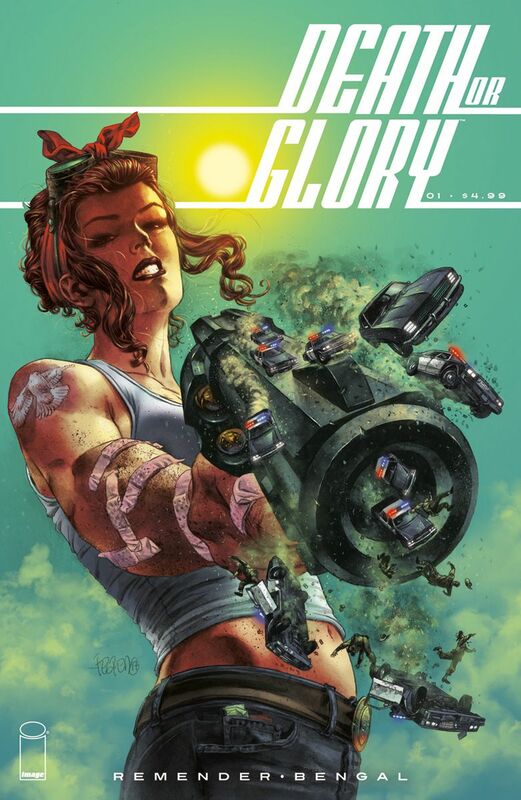 Human resistance against the technology that’s eating up so many of our jobs...Glory’s world is crumbling in more ways than one. I really romanticize the idea of a convoy, this band of brothers and sisters, the last free people in the country, and now their way of life and that piece of the American mythology of the highway is in jeopardy." 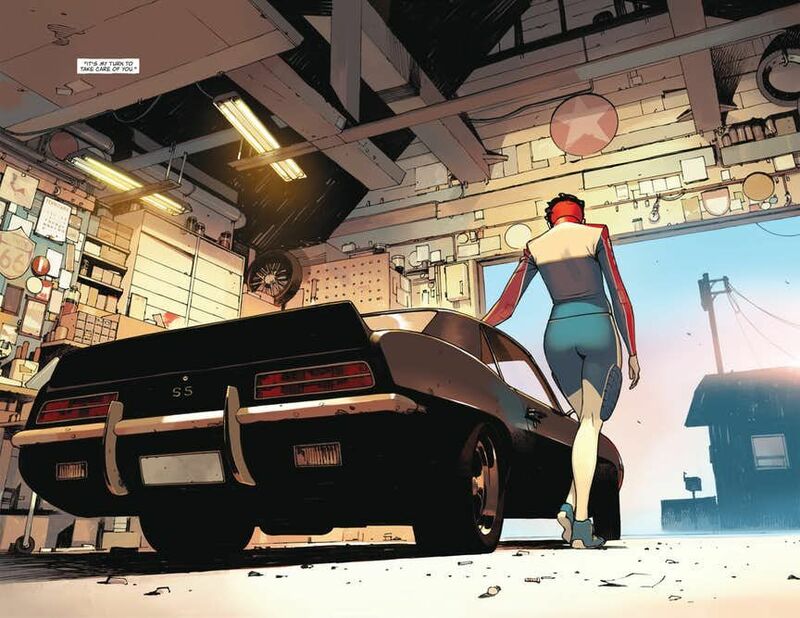 Bengal and Remender worked for years cultivating an idea for a story centered around a driver or pilot. Bengal added: "There was this woman, who was defined very differently at first, who evolved as ideas kept going between Rick and me. That's how Glory was born, and everything clicked and made sense as the story developed. 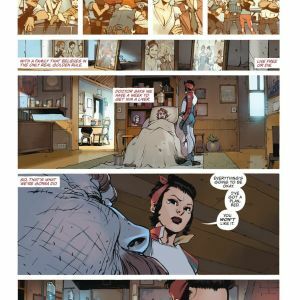 Rick structured her world so perfectly, so clearly, that I could dive into it even though it's a story that takes place in an environment I've never visited in person, with people I've never met. I tried my best to use both the lore of America's free truckers from movies and books, and the ton of realistic references I could find, or that Rick shared with me. Add to that my love of cars, and we were rolling! I used my humble skillset to try to render a dynamic, efficient storytelling, literally like filming an action movie. I hope it will work and readers will be taken by the flow!" 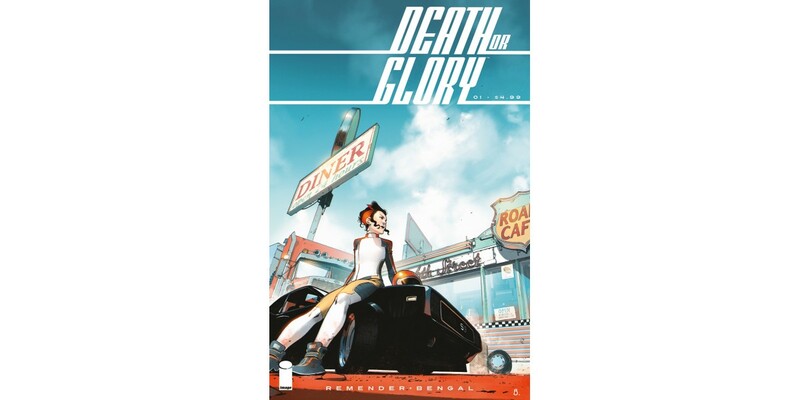 DEATH OR GLORY promises readers a high-speed chase across the American West that examines society’s dwindling freedoms and the price paid by those who fight for an untethered life, in this special double-sized first issue with 40 pages of story. 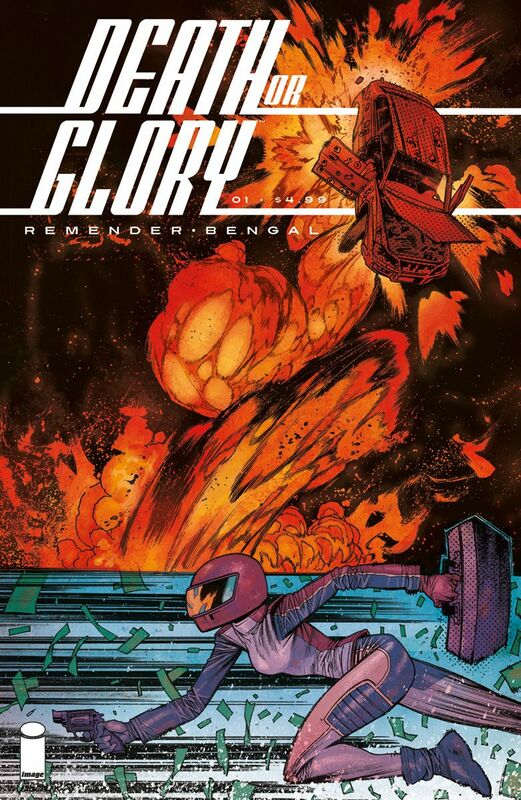 DEATH OR GLORY #1 Cover A by Bengal (Diamond Code MAR180577), Cover B by Duncan Fegredo (Diamond Code MAR180578), and Cover C by James Harren (Diamond Code MAR180579) will hit stores on Wednesday, May 2nd. The final order cutoff deadline for retailers is Monday, April 9th.